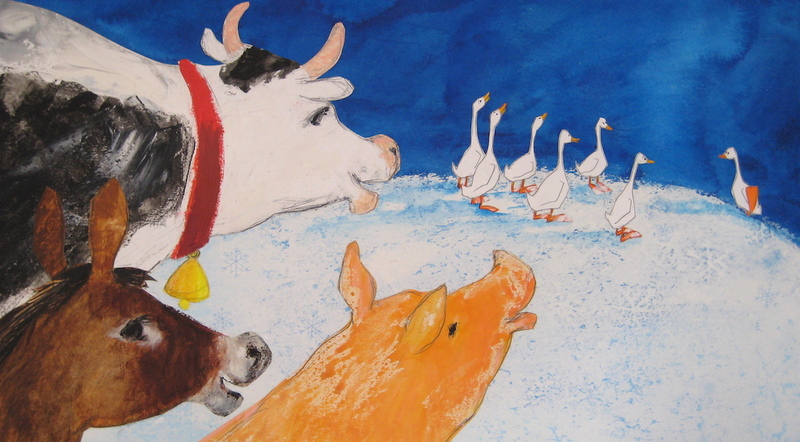 “Suzy Goose and the Christmas Star” was published some time ago. As a Christmas book it has a very short life time. It appears in the bookshops at this time of the year and it’s taken away as soon as Christmas is over. Whenever I’m asked to sign a copy of “Suzy Goose and the Christmas Star” I know that it is time to start thinking about Christmas presents. I signed quite a few copies last week. CHRISTMAS IS COMING SOON! 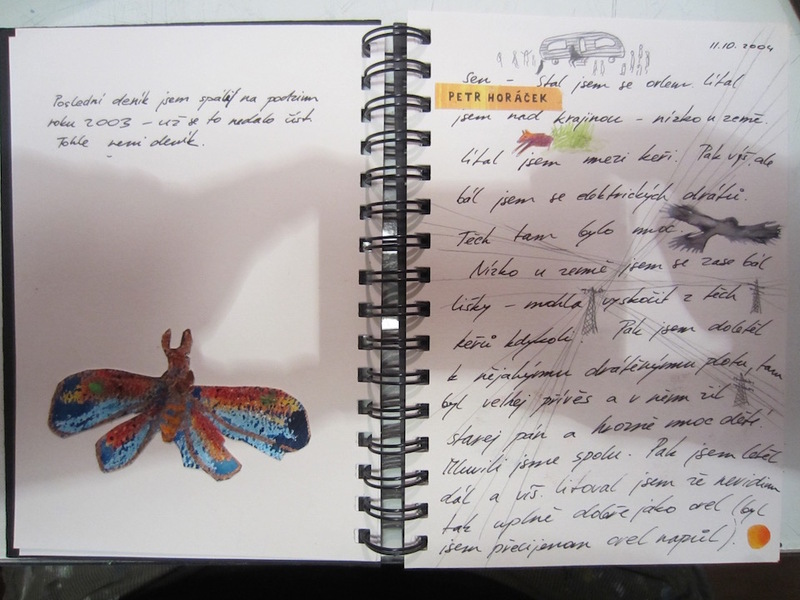 Looking at the pictures from the book I remembered the time when I was working on the book. 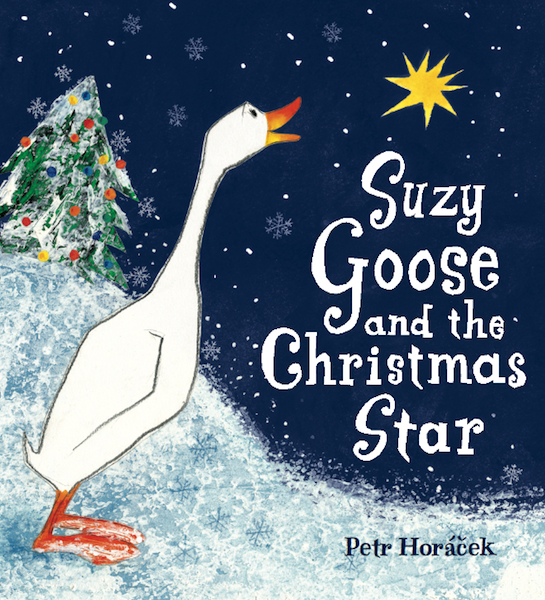 The idea to write “Suzy Goose and the Christmas Star” came to me one Christmas as I was walking over the Somerset Levels. I was then working on the pictures during the summer. 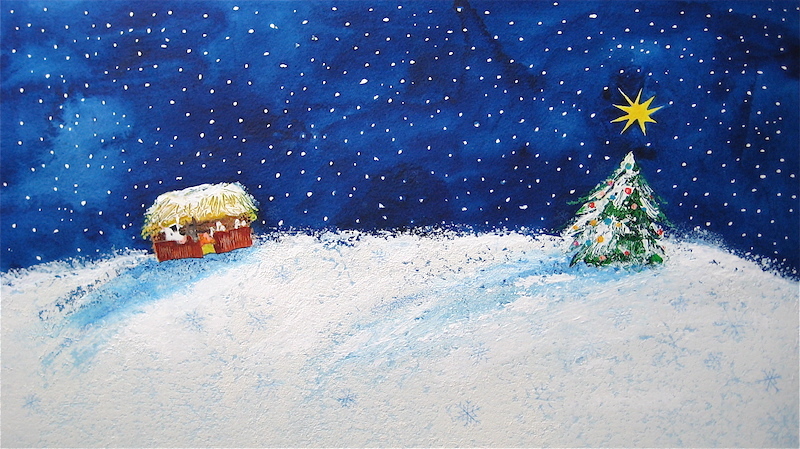 It’s always a bit strange to paint snow when it is hot outside. But I love painting snow. 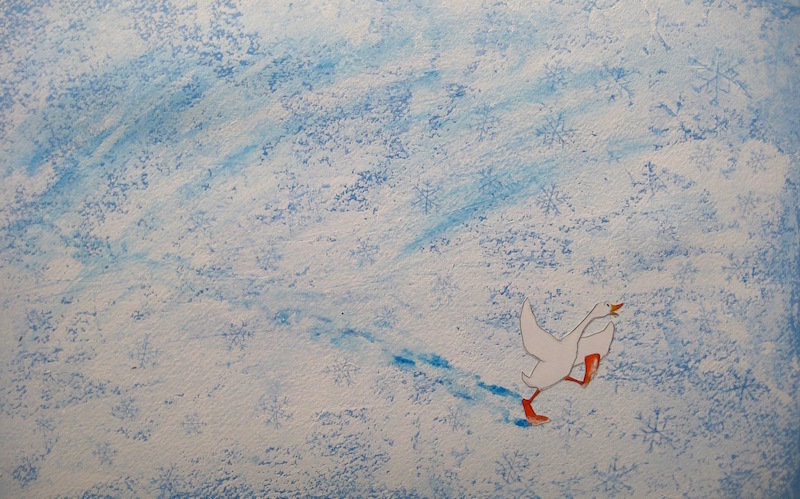 If you would like to buy somebody an original picture with Suzy Goose, just click here – Children’s Book Illustration. 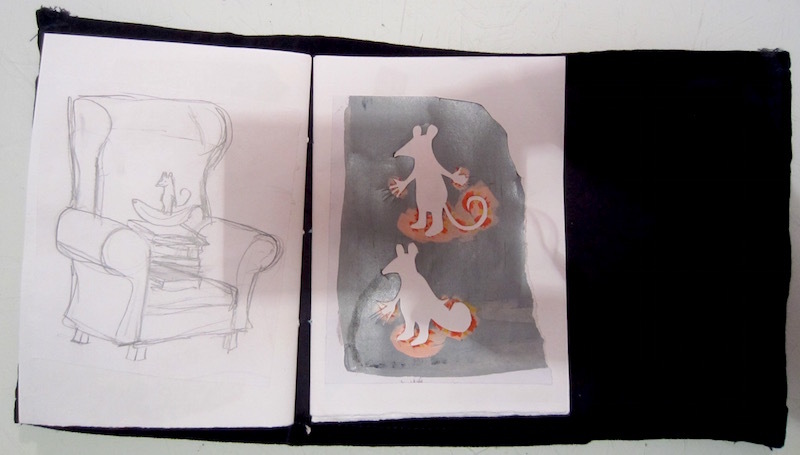 Last week I finished “A FIRST BOOK OF ANIMALS” and started tiding up my studio. I knew it would take some time, but I had no idea how long it’d take. I tried to throw away as much as I could, but in the end I’ve ended up just shifting things around. It wasn’t a wast of time though. I found old lost sketchbooks and diaries. 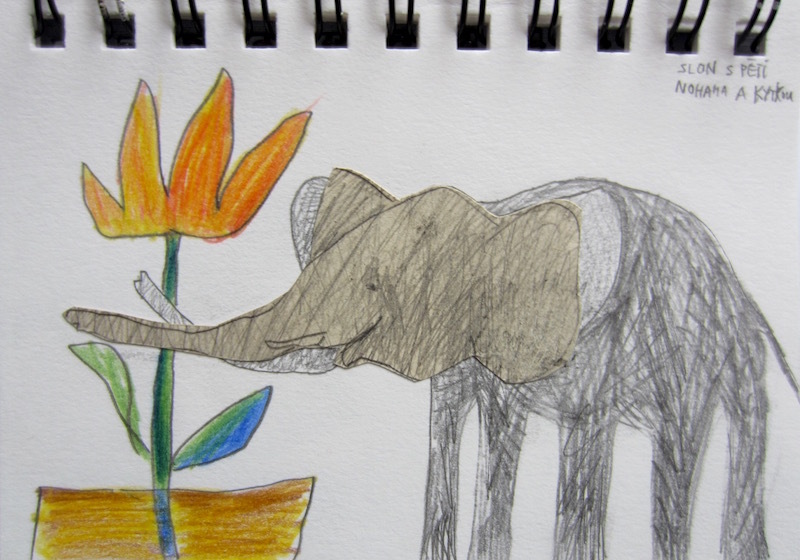 Some of them had dreams and drawings in them. I haven’t written down a dream for some time. Here is a first page of my diary from 2004. 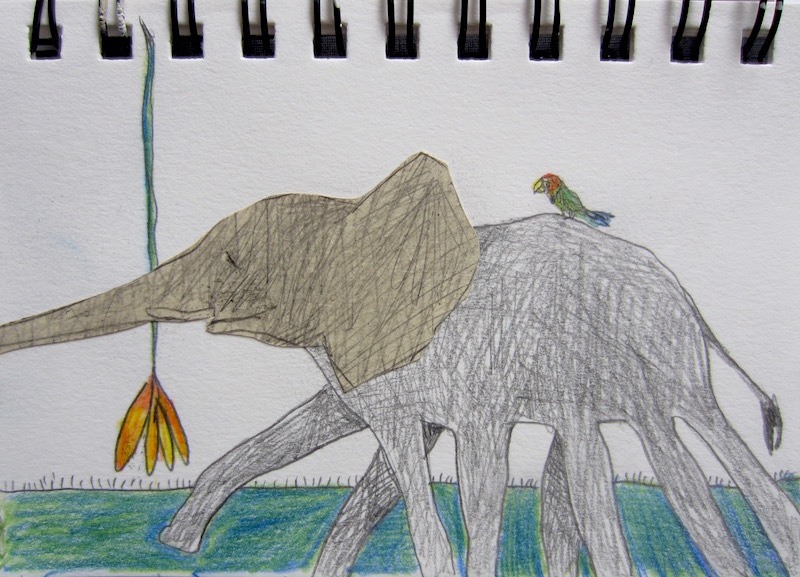 I also found a couple of elephants. What they have in common is the fact that they have too many legs. Tiding up can be fun, you know.